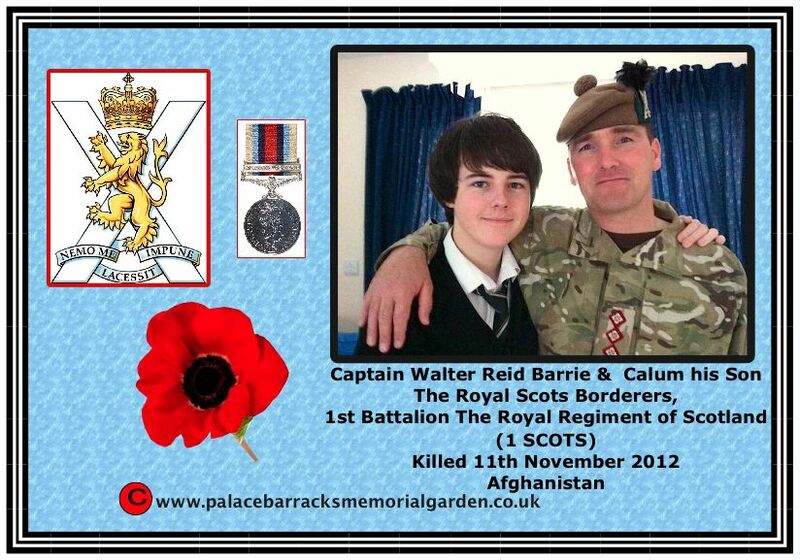 Captain Walter Reid Barrie from The Royal Scots Borderers, 1st Battalion The Royal Regiment of Scotland (1 SCOTS) was shot and killed in an ‘insider attack’ at Forward Operating Base (FOB) Shawqat in the Nad-e Ali district of Helmand Province on Sunday 11 November 2012. 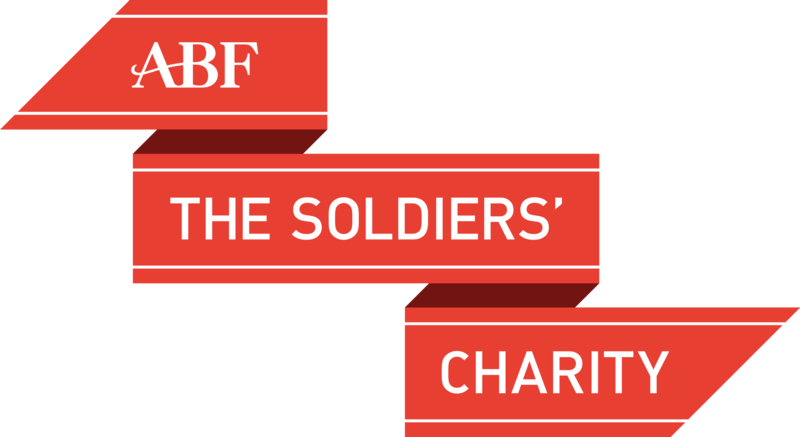 Captain Barrie was taking part in a football match between British soldiers and members of the Afghan National Army at his base when he was shot at close range by a member of the Afghan Army. He was fatally injured in the attack. Captain Barrie deployed to Afghanistan on 31 August 2012 as the 1st Kandak Advisor Team Second in Command, D Company, 1 SCOTS. As the Brigade Advisory Group, 1 SCOTS’ role involves mentoring and advising 3/215 Brigade of the Afghan National Army (ANA) to take the lead in security responsibilities in their area of southern Afghanistan. Captain Barrie advised the Executive Officer of the 1st Kandak of 3/215 ANA Brigade, based in Forward Operating Base Shawqat in the Nad-e Ali district of Helmand Province. Captain Barrie was born on 5 February 1971 in Glasgow. He joined the 1st Battalion The Royal Highland Fusiliers on 26 October 1987. During his 25 years Colour Service he served on operations in Iraq (on both Operation Granby and Operation Telic), Bosnia, Kosovo, Northern Ireland as well as completing a tour of Afghanistan in 2008. As a Non-Commissioned Officer he was immensely talented, instructing at the Army Training Regiment Glencorse and the Royal Military Academy Sandhurst. In 2007 he was promoted to Warrant Officer Class One and became the Regimental Sergeant Major of the 2nd Battalion The Royal Regiment of Scotland (2 SCOTS). He excelled as an infantryman and leader of men. Captain Barrie commissioned as an officer in 2009, becoming the Unit Welfare Officer of 2 SCOTS and was subsequently posted to 1 SCOTS as D Company Second in Command in 2011. His future aspirations were to promote to Major and attend Staff College. Captain Barrie was renowned as an approachable and compassionate officer, he cared deeply for the wellbeing of those around him and had unparalleled rapport with all ranks. The Regiment has lost a truly gifted and devoted officer, who was yet to reach his full potential. Captain Barrie will be remembered fondly by all who had the privilege to meet him. The thoughts and prayers of the Battalion are with his wife Sonia and son Callum (15). “My Battalion and our Regiment have lost both a soldiers’ soldier and an officers’ soldier. Captain Walter Barrie was a dedicated husband to his wife Sonia and a loving father to his teenage son Callum. As a soldier he was an experienced and highly professional infanteer. As a fellow officer he was a loyal, enthusiastic leader of soldiers and supportive brother officer. “His career was dominated with deployments on operations and training our future soldiers and officers. He served his country on operations in Iraq, Bosnia, Kosovo, Northern Ireland, and he was currently deployed on his second tour of duty in Afghanistan. His youthful drive and zest for life played out through his participation in many sports. As a keen skier and a Football Association Coach he not only played sport for his own satisfaction but also to spread the passion for these sports. His role as an advisor to the Afghan Army was one he trained for, looked forward to and performed superbly. His ability to build relationships and rapport has always made an impact on those who met him. This was down to his enthusiasm for life, for youth and humanity. As can be seen from the many tributes, he enriched the lives of everybody he came across. His winning personality and Glaswegian wit will be sorely missed as will the banter we often had as a result of his fanatical support for Glasgow Rangers. “It is almost impossible to express the sadness we as a close Battalion are experiencing at this time. I know the impact of his tragic loss will be felt across our Regiment, amongst the soldiers, officers and in particular the Late Entry Commissioned Officer community. But we remain committed in our role and mission in Afghanistan and we will do so knowing that Walter would expect nothing less of us all. “Captain Walter Barrie served in the Kandak Advisory Team in Transition Support Unit Nad-e Ali. He worked closely with 1 MERCIAN Headquarters based in FOB Shawqat. “Walter very quickly became a close colleague and friend to all in 1 MERCIAN. Charismatic and full of life, he immediately became one of the central characters in the FOB. He was always cheerful, positive and willing to give up his time for a chat. He embraced all equally, whether Mercian, Jock or Afghan Army. “It was evident that experience and professionalism flowed though him. His calm, thoughtful approach inspired confidence in others. In the short time we knew him we learnt a huge amount from him. He was a genuine pleasure to work with and be around. “Every day he could be seen running around the FOB at a pace that most private soldiers would struggle to keep up with. His love of football was obvious to all. “Captain Walter Barrie was a fantastic, engaging and professional man who was universally popular and highly capable in all he did. I have known Walter since 1996 when he was a young corporal at the Army Training Regiment Glencorse, a friendship developed due to our love of football, in particular following Rangers Football Club. I had the privilege to watch him develop into an exceptional Regimental Sergeant Major and later as an outstanding Late Entry Officer. “Walter’s cutting, self deprecating wit, easy-going manner and endearing personality will never be forgotten by all those who had the privilege and pleasure to have met and worked with him. Walter’s loss will be mourned across the Royal Regiment of Scotland. He was exceptional and I am immensely proud to have had the privilege of serving alongside him. “If the sheer number and spread of a man’s friends can be made a judgment of his quality then Captain Walter Barrie was a man of the greatest stripe. A man of effervescent humour, steely determination and the widest compassion, Walter was the epitome of the Scottish soldier; a self-confessed tearaway in his youth who hit top gear when he married his wife Sonia, then reaching the top of his profession, from Sandhurst Colour Sergeant to Regimental Sergeant Major to a Commission. 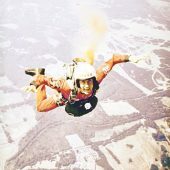 Humorous in adversity and with the highest professional standards, he had the enviable knack of connecting with everyone he worked with and was beloved by all – both the British and the Afghan soldiers who were lucky enough to come into his orbit. “In difficulty he was a stalwart and he so obviously understood and worked for his men that they worshipped him – and rightly so for he always had their interests at heart. In his spare time he was equally generous, having coached a local schoolboys’ football team and I know they would have idolised him too. We mourn him keenly but know that nothing can assuage the grief of his wife Sonia and son Callum. We pray that their knowledge of the esteem and fondness in which we all held him will be of some meagre comfort. “Walter was a Late Entry Commissioned Officer of the highest calibre. He was respected by all who knew him. Walter was a true friend for over 20 years, who I have grown up with through this period and worked alongside on numerous occasions. “His love for his family is well known and my thoughts go out to them at this difficult time as well as to his wider family and friends. Walter and I recently enjoyed his second passion and that was watching his beloved football team Rangers just before we deployed. This was a regular meeting for us both with our sons. “Walter was a complete professional and dedicated to his profession. He had a natural, exceptionally sharp wit, which was enjoyed by all and he enjoyed nothing more than some ‘banter’ with the Jocks when the situation allowed. He was a soldiers’ officer and respected by everyone who met him. “The loss of Walter will affect every Late Entry Commissioned Officer across the Royal Regiment of Scotland. He was well known and well respected by his peers. It has been a true privilege to serve alongside him and have him as a true friend. Our thoughts are with his wife Sonia and his son Callum at this difficult time. “Walter was a true friend from the first time I met him over 12 years ago as instructors at the Royal Military Academy Sandhurst. Since then we have attended many courses together and worked alongside each other more recently in 1 SCOTS. “The love he constantly showed for his wife Sonia and son Callum was clear to everyone, they were always at the forefront of his mind. My thoughts go out to them at this tragic time and to his wider family and friends. “To me, Captain Walter Barrie epitomised The Royal Regiment of Scotland and the Jocks within it. His seemingly limitless morale, his inspiring professionalism and his impeccable gift of communicating with all people, regardless of rank, age or background, made him someone who I am honoured to have called a friend. As a man he was someone you always wanted to be around, and as a soldier he was someone you aspired to be. No matter how busy he was, he could always make time for you, whether for advice or just a friendly ear. Throughout my short time at the Battalion it was Walter who made me feel part of the Jock family and I will treasure every day I was gifted to know him. “Walter was an adoring husband, loving father, great friend and an unquestionable leader of men. “Having only worked alongside Captain Barrie for a short period of time I can truly say he made a huge impact on the way I and many other Warrant Officers addressed difficult issues. He brought a calm logic to any situation and his experience with managing soldiers was excellent. It is this, along with his distinguished career that made him a hugely respected Late Entry officer amongst both the junior and senior members of 1 SCOTS. His empathy with the young lads in the unit was testament to how well they thought of him. He was an extremely popular member of a close team and will be sorely missed by everyone in the Battalion and wider Regiment. “As the senior soldier and on behalf of all my peers in 1 SCOTS I express my deepest sympathy to his wife, young son and their family and friends. “Captain Walter Barrie was one of the nicest, kindest, down-to-earth officers that I have ever had the privilege of knowing and working with. He was always happy, full of banter and always up for a laugh. Sometimes it was hard to believe he used to be a Regimental Sergeant Major. “Captain Barrie was a loving father and husband and always spoke of his son with great pride, and with a smile on his face. He was also a die-hard football fan and talented footballer. He loved Rangers Football Club and attended as many games as he could, taking his son with him. I would sit and have many conversations with him about football and our plans to watch Rangers when we got home. “I was deeply saddened to learn of the death of Captain Walter Barrie, an Army officer who had come up through the ranks and, in a long and distinguished military career, earned a reputation as a formidable soldier and valued colleague to so many. Having served his country on many operational deployments over the years, he died on his latest: serving in Afghanistan to protect the security of the United Kingdom and its people.